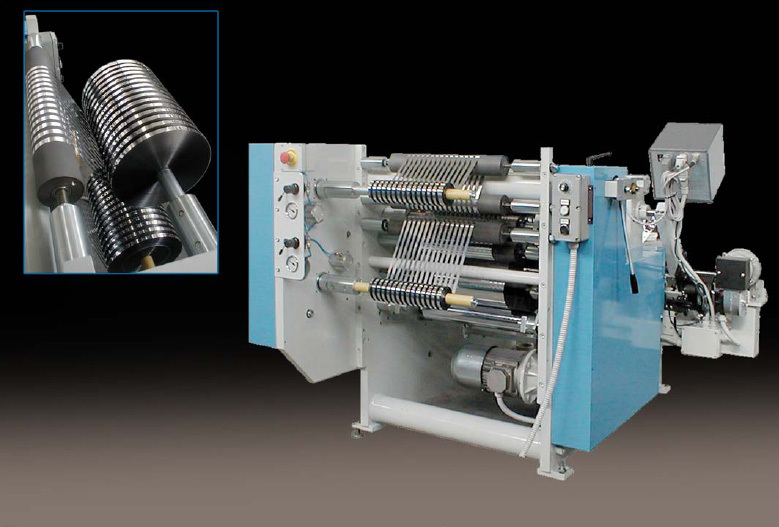 Narrow web slitter rewinder. Cutting width minimum 3mm. Edgeguide, splicing table on request.